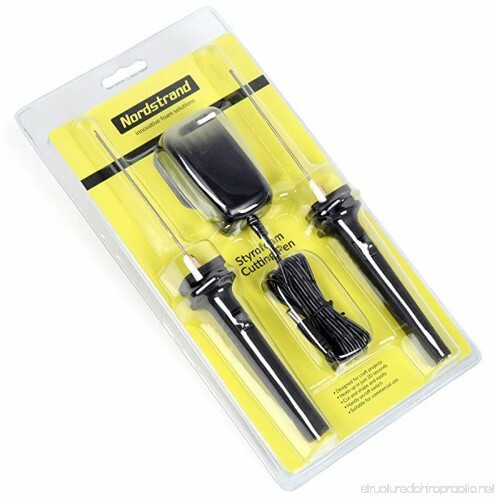 The Nordstrand Styrofoam Cutting Pen is designed to quickly cut styrofoam into shape. Unlike traditional hot wire cutters, the Nordstrand cutter heats up along its complete length up to 400 °F in just 20 seconds. You don't have to make a pilot hole or fiddle with wires – just start cutting, even in the middle of a sheet, and go in any direction. Chop big blocks down to size or get up close for delicate detail. Craft projects, architectural modeling and DIY is made easy! Very little force is required to use the Nordstrand Styrofoam Cutting Pen. Plug the power supply into a wall outlet, plug in the cutting pen into the power supply receptacle and turn on the switch on the handle. 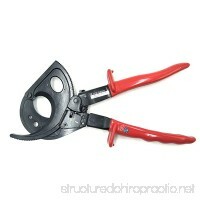 Gently slide a piece of foam against the cutting blade until the tool cuts easily into it. Be patient, do not force the tool and do not push too hard - let the heat do the cutting and allow the cutting pen to glide. A tip from us: draw your pattern on the foam using a marker. The Nordstrand Styrofoam Cutting Pen is easy to use and safe if handled properly. Use it only with polystyrene and polyethylene foams in well ventilated areas and wearing eye protection. Burns can occur from touching the hot cutting wire. Close adult supervision is necessary when the tool is used by or near children. Clean the blade by gently wiping against a cloth or paper towel while the foam is in a melted state.